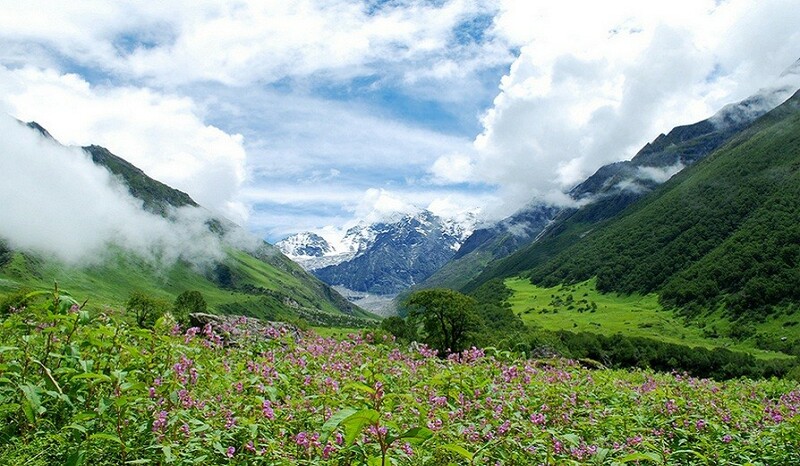 Valley of Flower: The beautiful valley situated at an altitude of 3300 mts to 3650 mts is theparadise of nature lovers. Starting from about 6 kms from Bhuindhar village itcovers an area of about 87 square kms. 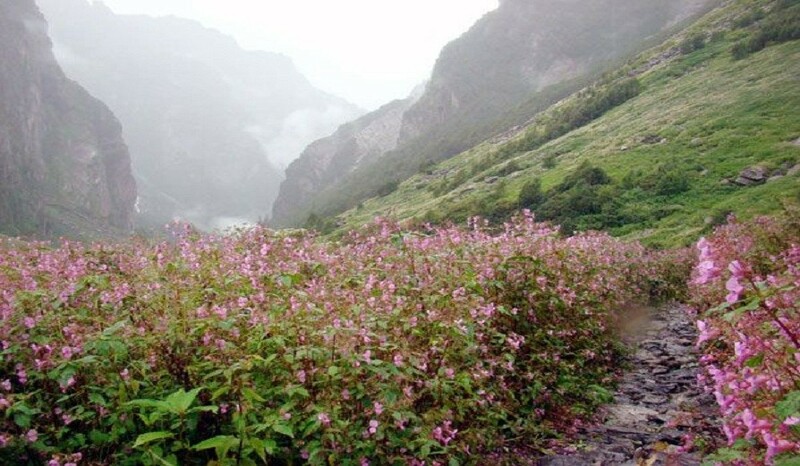 The valley is exceptionally rich of theflowers wealth and has the largest collection of wild flowers species. Theriver Pushpawati flows through the verdant valley. The valley blooms with exotic. Flower from June, July till early September. 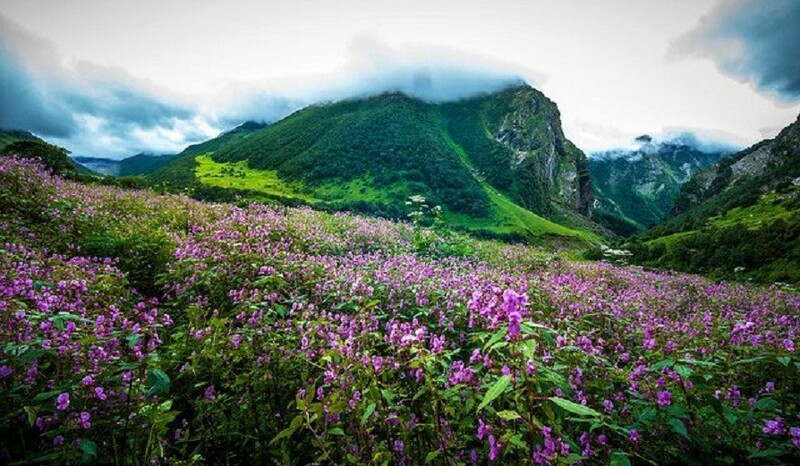 There are about 520species of flowering plants and the area was declared as a National Park in1982. The animal like Himalayan black bears, musk deer’s, brown bears,Bharal and rich variety of birds and butter flies are found in this national Park. Hemkund Sahib: The holylake Hemkund, an important pilgrimage of Sikhs and Hindus, lies near the Valleyof Flowers at an altitude of 3050 mts. The sacred beautifully shaped Gurdwaranear the lake is visited by large number of pilgrims from all over the world.It is believed that Guru Govind Singh, the tenth guru of Sikhs meditated andunited with God at this place. 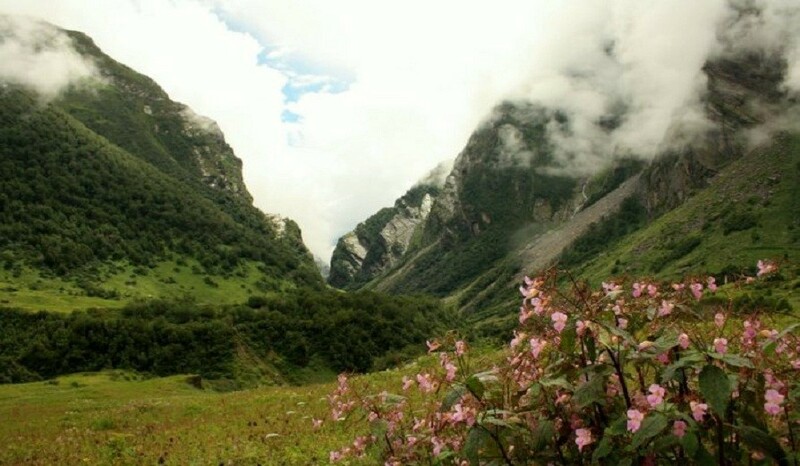 Valley of Flowers is a fairy-land situated high in the Himalayas of the Uttaranchal, at an altitude of 3,600 meters above sea-level, protected by snowy mountains. Unknown to humans, for centuries this enchanting valley lay frozen during the colder months, and burst into its youthful beauty every year, as the snow melted with the advent of summer. 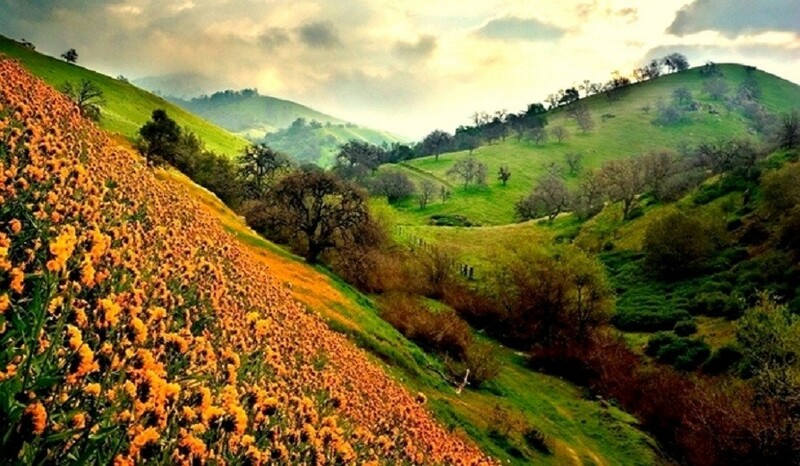 Every year, the valley was splashed with color as it bloomed with hundreds of kinds of flowers, taking on various shades of colors as months progressed. Finally one day, nature condescended to bless humans with this heavenly sight, when Frank Smith - mountaineer, explorer, botanist - chanced upon it in the monsoon of 1931. He authored a book called "The Valley of Flowers" which unveiled the beauty and floral splendours of the valley and made the world sit up and watch. It was declared a national park in 1982, and now it is a World Heritage Site. The locals, of course, always knew of the existence of the valley, and believed that it was inhabited by fairies. In the morning meet our driver& drive to Joshimath via Devprayag. On the way visit Dev prayag whereBhagirathi and Alaknanda rivers meet. 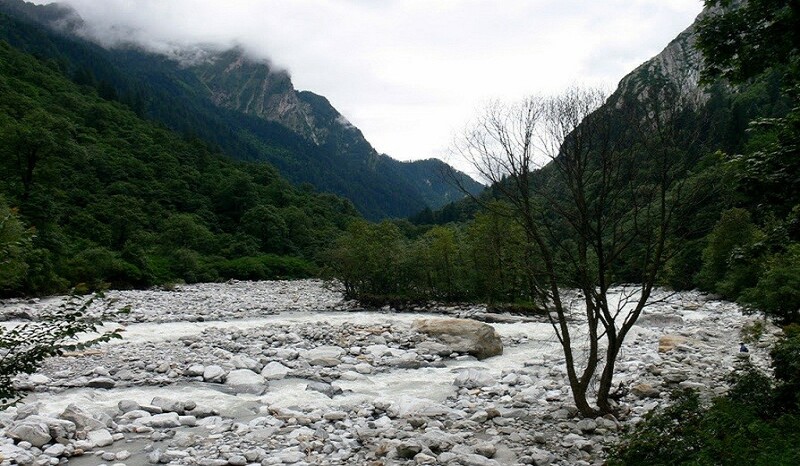 From here the holy river Ganges started.Arrival at Joshimath by evening, check into the hotel. Dinner & overnightstay. Joshimath: The religiouscentre, established by Adi Shankaracharya, which he called Jyotirmath, latercame to be known as Joshimath. Among the sites of interest are the temples ofNav Durga and Narsingh. Apart from its obvious religious importance, Joshimathis known for its scenic beauty. After an early breakfast drive to Govindghat. Which is the starting point of the trek? From Govindghat there is agradual ascent along a well maintained pilgrim trail to Ghangaria. Upon arrivalat Ghangria check into Camp. Explore the surroundings in the evening. Dinnerand overnight stay at camp. After breakfast trek to Valley OfFlowers (3858 m) from Ghangaria. The valley is an enchanting sight with animpressive array of rare wildflowers like Geranium, Marsh marigold, Prinula,Potentilla, Geum, Asters, Lilium, Ranunculus, Corydalis, Inula, Braham kamal,Campanula, Pedicularis, Arisaema, Morina, Impatiens, Bistorta, Ligularia,Anaphalis, Saxifrages, Sibbaldia, Thermo- psis, Trollius, Codonopsis,Dactylorhiza, Cypripedium, Strawberry, Epilobium, Rhododendrons and numerousothers. Most of the flowers have medicinal values too. The valley is 10 kmslong, 2 kms wide, and is divided by the Pushpawati stream, into which severaltiny streams and waterfalls merge. After enjoying the beauty of valley trekback to Ghangaria. Dinner & overnight stay at the camp. After breakfast trek to HemkundSahib (4329 m) from Ghangaria. This is quite a steep climb. In the Sikh holybook, The Granth Sahib, the Sikh Guru Gobind Singh recounts that in a previouslife, he meditated on the shores of a lake surrounded by seven snowcappedmountains now recognized by Hemkund. Late afternoon trek back to Ghangaria.Dinner & overnight stay at camp. After an early breakfast trekdown to Govind Ghat and from here drive to Srinagar via Joshimath, Chamoli& Rudraprayag. On arrival check into the hotel. Dinner and overnight stayin the hotel. In the morning drive to Rishikesh via Devprayag. Trip & Services Ends Here. 2 guides for the group of maximum 14 trekkers so 1 guide for 7 group members. This will ensure high safety and more information and personal attention which are necessary to appreciate a trek. All our guides are professionally trained and have many years of relevant experience in guiding treks. Accommodation (hotel or Guest house or home stay or camping). we believe that roughing it out necessarily doesnâ€™t mean sleeping in smelly sleeping bags, compromising on safety by using low quality equipment and having unappetizing meals. We focus on your safety, basic comforts and the environment while camping. Keeping this is mind, the following equipment is provided on the trek. 3/4 season imported alpine tents ,sleeping bag , mattresses , Hot water bottles in the night (during the trek), Camping stools, Mess Tent, Toilet tents. All meals starting from dinner on Day 1 till breakfast on last day. A lot of emphasis is given to nutritional needs and a menu of vegetarian dishes is prepared accordingly. Tea/coffee will be served throughout. Forest entry charges, permits & camping fee (if any).